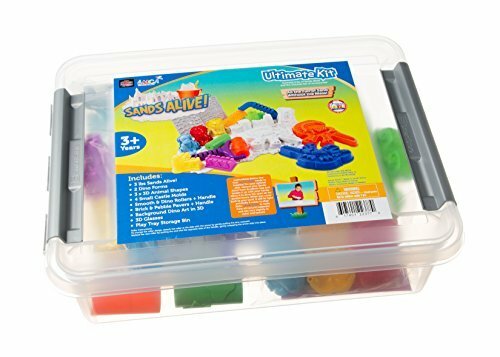 I recently posted a list of STEM toys for elementary aged kids. Those are pretty easy to find. But, what about the toddlers, you asked? STEM (science, technology, engineering and math) are important to toddlers, too. 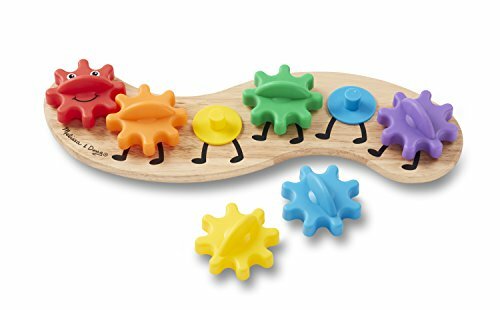 I imagine most of the toys you have encourage these skills in even the tiniest of our people, but I put together a list of 13 toys that encourage STEM learning for toddlers. Of course, this all depends on your child and where they are, so please consider that when deciding what they will like. For toddlers, the emphasis is going to be mostly on the engineering and math parts, but the science comes in very easily as well. When building, a child will go through the scientific process without even thinking about it! We’ll let them hold off on technology for a while longer! Many of these toys we have in our home and have seen a lot of love. Crystal climbers have been a big hit with our kids as soon as they could put the pieces together. With each piece having several slots, the arrangement possibilities are infinite. They quickly learn that you need a wide base for tall structures and that they need to be balanced. 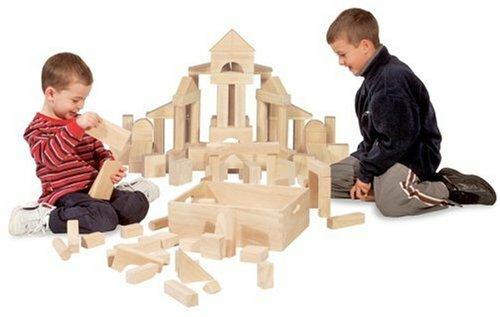 It’s a great way for them to discover building and gravity with fun play. Build a bridge, tracks around a community or more. The kids love experimenting with all of the pieces. They even get to add in scenery and signs to keep it all safe. Blocks are great for building all kinds of structures. Kids discover what is needed to keep a building standing. They find out if they can put spaces and gaps in their buildings and they will not fall over. As soon as kids can push them together, they can build to their hearts content. Our girls started playing with these around 15 months and keep building into their preteen years. If this is in stock, GET IT! I see it sold out so often. It’s so simple and yet so effective. Kids can experiment with the height of the ramp as well as the surface at the bottom. My girls like to see if they can get a ball to come out fast enough to knock things over. They even set up courses of sorts to see what can happen after a ball or a car comes out of the tube. Balancing is all about engineering. 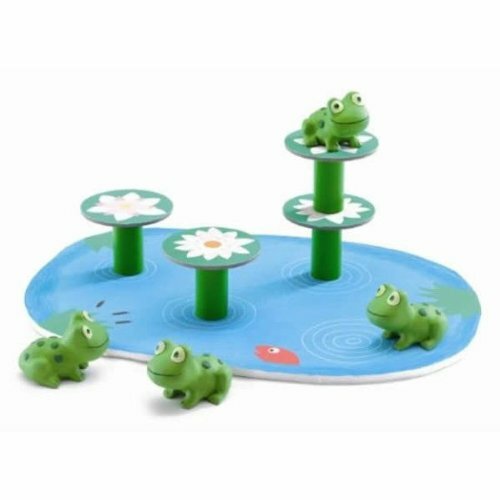 Plus, you add in the elements of a fun game and frogs and lily pads. It’s always great when kids are learning but not realizing it because there is such a fun game element. Who knew that toddlers could learn how gears work? If you spin the front gear, all of the rest go. If you remove one in the middle, the gears will no longer all move. The kids really like the rainbow and the fact that it is a caterpillar. I know…sand. But, this isn’t like typical beach sand. It stays together and allows molding of different shapes. 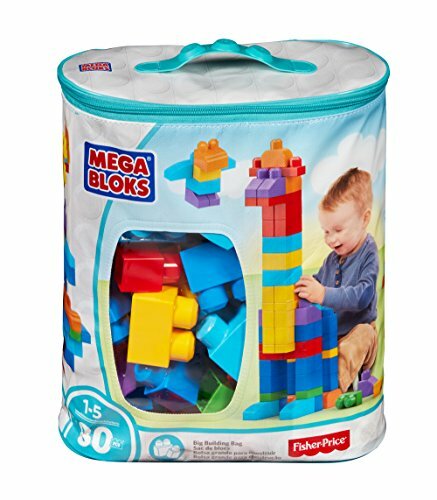 There are kits with generic shapes as well as dinosaurs (anybody want to be a archeologist) and safari animals (veterinarian, possibly?). My girls have played with this sand starting at a very young age with supervision and then older on their own. It’s surprisingly easy to clean up, too. 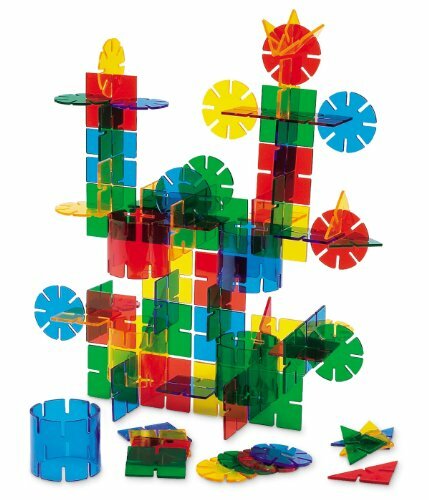 These are great magnetic pieces that also build animals, bridges, shapes and more. Plus, at the same time, they are learning about magnetic poles, and attraction and repulsion. The creativity these generate is nothing short of amazing. 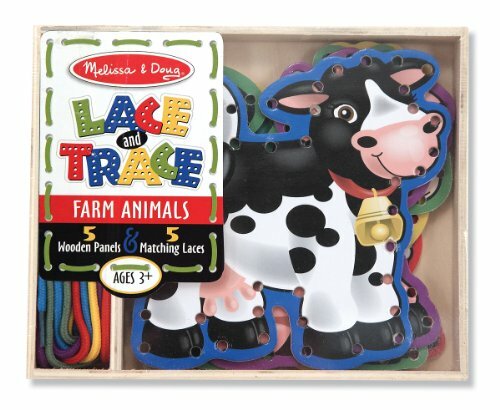 With cute farm-animal art on both sides, it’s fun to practice lacing and tracing skills with this wooden set. Contains five sturdy, double-sided lacing panels, plus five color-coordinated laces! Develop hand-eye coordination and attention skills with this great activity. 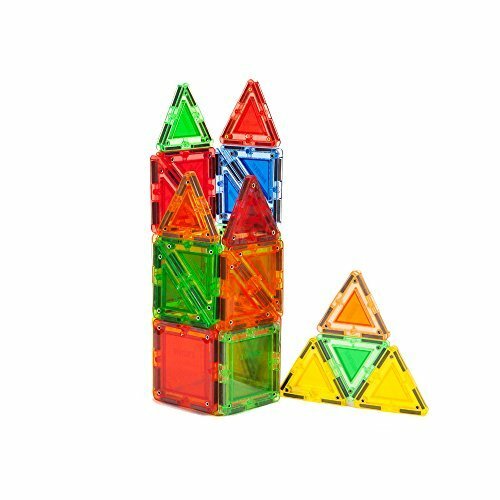 Practice counting, stacking, shape sorting and more with this great geometric stacker. Kids can also explore what happens when the shapes don’t go in order and how it looks. Nothing better than plain old blocks. It comes with a great wooden storage crate for easy storage. Packing them all up to fit perfectly in the box is a feat of it’s own. Ideal for building and introducing early match concepts as well as math and fractions later on. 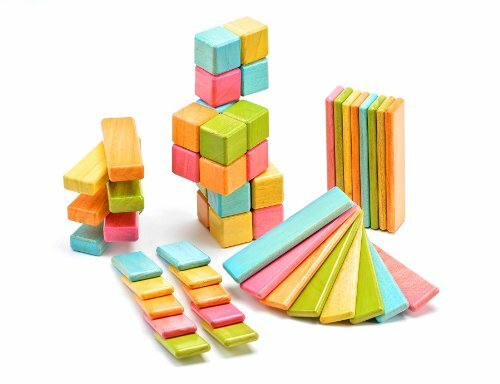 Experience the mystery of magnets with Tegu’s Original 52 Piece set. 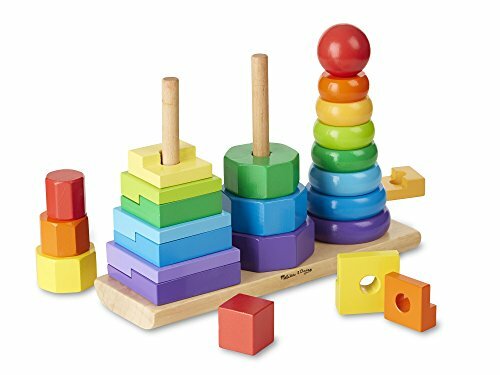 Combine both the love for blocks with the love of magnets allowing pieces to stick together. These are great for those naturally curious kids and perfect for those seeking toys supporting open-ended and unscripted play. Build amazing creations that use Electricity, exciting Gears, and Power. 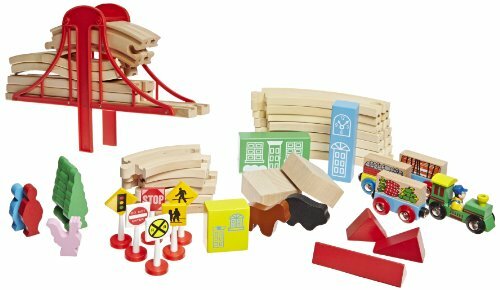 This kit includes 15 Different Magnetic Shapes, plus Accessories as well as Motorized Generator, and Remote Control. This is the pinnacle of toys for kids for STEM education. If you need some ideas for older kids, you will want to check out my article on STEM activities for kids: a gift guide. 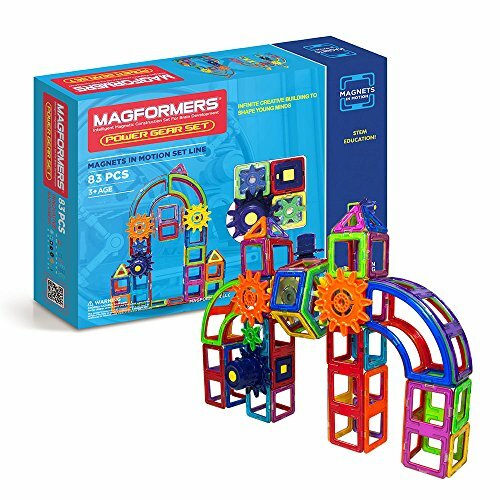 These gifts generate a ton of STEM project ideas even for the littlest ones in your house from building to creating to moving parts and more. This post does contain affiliate links. If you make a purchase, it helps support this site and doesn’t cost you anything. I remember the slot togethers when I was a kid. I am sure baby boy will have some of these soon! Maybe on the birthday wish list. What a great collection! When my daughter was that age, a lot of her learning and therapy was done using this sort of toys.